The Margate Terrapin Project has been moving forward through the years to increase public awareness and decrease mortalities of terrapins along the Margate Causeway. Various types of fencing/barriers have been installed and tested for effectiveness. Starting with plastic Tenax fencing to now split tubing that is dug into the ground, the ultimate goal has been to protect the Diamondback Terrapins by limiting their ability to cross the causeway. Volunteers and donations have helped keep the project running and moving in a positive direction. The Wetlands Institute in Stone Harbor along with Stockton College's Coastal Research Center have been leading the way in the conservation of South Jersey's Diamondback Terrapin population. 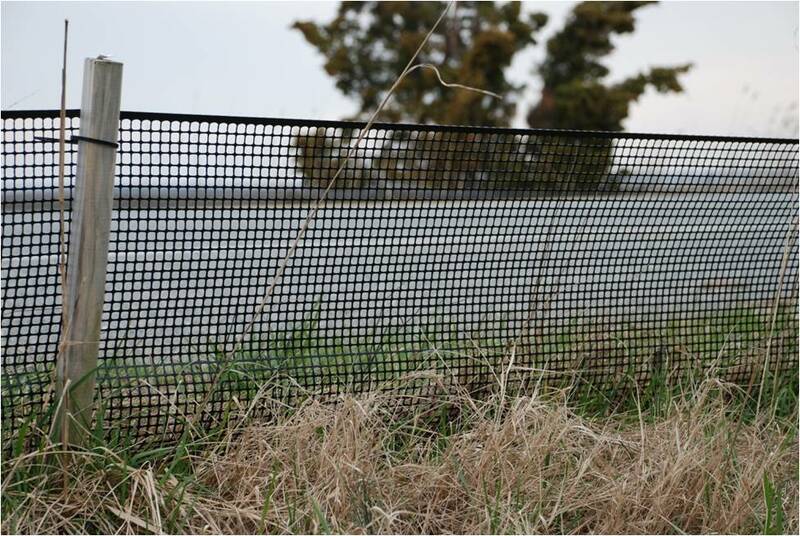 The Margate Terrapin Rescue Project has worked very closely with the Wetlands Institute to install fencing and has been guided by their vast knowledge of Diamondback Terrapins. Research has been performed recently on the effectiveness of the new halved, 10 inch, corrugated tubing. 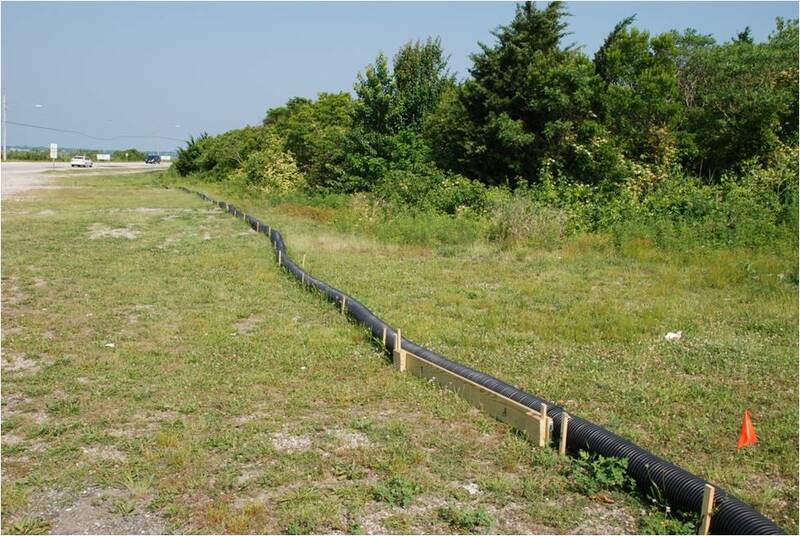 This type of new tubing was first used by the Conserve Wildlife Foundation of New Jersey in 2012 who had great success. They have been researching barriers to effectively prevent terrapin road mortality since 2010. They consulted with the Margate Terrapin Rescue Project on the use of the new barriers and advised us of its success along Great Bay Boulevard in Little Egg Harbor. Like previous years, the causeway is patrolled daily to check for fatalities and assist terrapins across the road. This past season the patrols included marking each fatality with a handheld GPS to gather data relevant to the types of barriers in place. This type of data collection can help to determine if the new halved corrugated tubing should be used instead of the whole tubing that is currently along most of the causeway. How does the 6 inch whole corrugated tubing work? It is generally high enough so that the terrapins can't climb over. It is staked to the ground so it won't move or budge as easily. However, sometimes the tubing loosens from the stakes and gaps underneath the tubing are exposed. The terrapins can then wiggle their way underneath and have access to the roadways. So how does the new halved tubing work? It's high enough that the terrapins can't climb over. The inside of the halved tubing is smooth which does not allow the terrapins to grip on and climb over. Additionally, the halved tubing is dug into the ground via trenches created by a Ditch Witch which is donated by Notaro Construction and Hardscaping. Regular maintenance of the new type of tubing is required. You will see our volunteers out there with orange vests and shovels fixing the new tubing to make sure it is as effective as possible. Southern New Jersey, USA." Proceedings: Conservation, Restoration, and Management of Tortoises and Turtles- An International Conference. New York Turtle and Tortoise Society, 1997. 46-53. The Wetlands Institute. Terrapin Conservation. 2014. http://wetlandsinstitute.org/conservation/terrapin-conservation/.